Australia is a step closer to a new hydrogen production and export industry following the national science agency’s successful refuelling of two fuel cell vehicles. This technology will pave the way for bulk hydrogen to be transported in the form of ammonia, using existing infrastructure, and then reconverted back to hydrogen at the point of use. It has the potential to fill the gap in the technology chain to supply fuel cell vehicles around the world with low-emissions hydrogen sourced from Australia. The membrane separates ultra-high purity hydrogen from ammonia, while blocking all other gases. It links hydrogen production, distribution and delivery in the form of a modular unit that can be used at, or near, a refuelling station. This means that the transportation and storage of hydrogen – currently a complex and relatively expensive process – is simplified, allowing bulk hydrogen to be transported economically and efficiently in the form of liquid ammonia. Recent advances in solar and electrochemical technologies mean renewable hydrogen production is expected to become competitive with fossil fuel-based production, providing an opportunity to decarbonise both the energy and transport sectors while creating new export opportunities. CSIRO Chief Executive Dr Larry Marshall is excited by the prospect of a growing global market for clean hydrogen, and the potential for a national renewable hydrogen export industry, to benefit Australia. "This is a watershed moment for energy, and we look forward to applying CSIRO innovation to enable this exciting renewably-sourced fuel and energy storage medium a smoother path to market," Dr Marshall said. "I'm delighted to see strong collaboration and the application of CSIRO know-how to what is a key part of the overall energy mix." 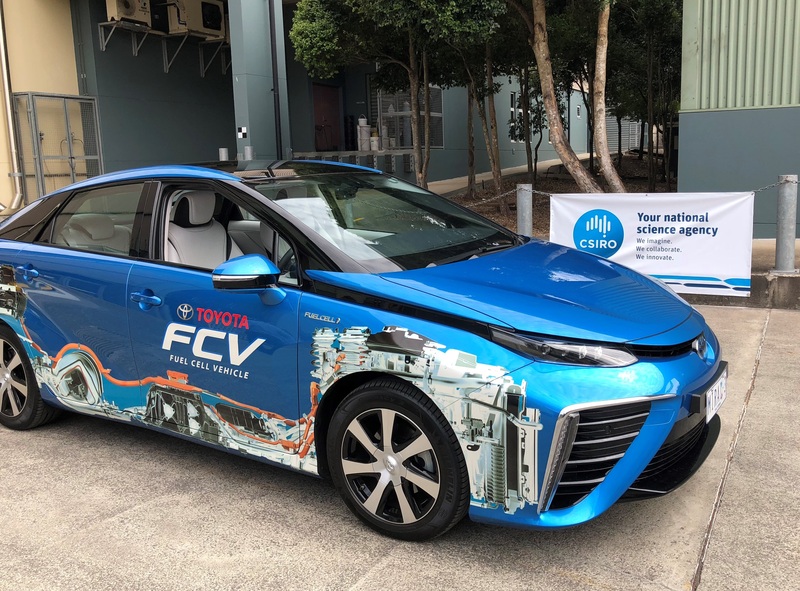 BOC Sales and Marketing Director Bruce Currie congratulated CSIRO on the successful refuelling of hydrogen fuel cell electric vehicles, which proves the effectiveness of CSIRO’s membrane technology from generation, right through to point of use. 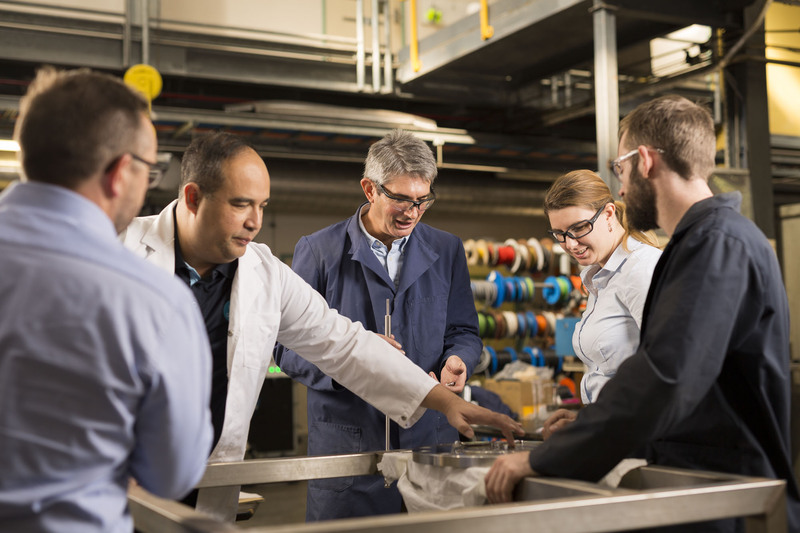 “BOC’s innovative engineering team are proud to be collaborating with CSIRO researchers on this technology breakthrough, as we focus on advancing the hydrogen economy and global transition towards clean hydrogen for mobility and energy,” Mr Currie said. Following this successful demonstration, the technology will be increased in scale and deployed in several larger-scale demonstrations, in Australia and abroad. The project received $1.7 million from the Science and Industry Endowment Fund (SIEF), which was matched by CSIRO. In addition to its membrane technology, CSIRO is applying its expertise to all stages of the hydrogen technology chain (including solar photovoltaics, solar thermal, grid management, water electrolysis, ammonia synthesis, direct ammonia utilisation via combustion and/or fuel cells, as well as hydrogen production).